The blue loop (78km) is the shortest, but by no means the easiest route. 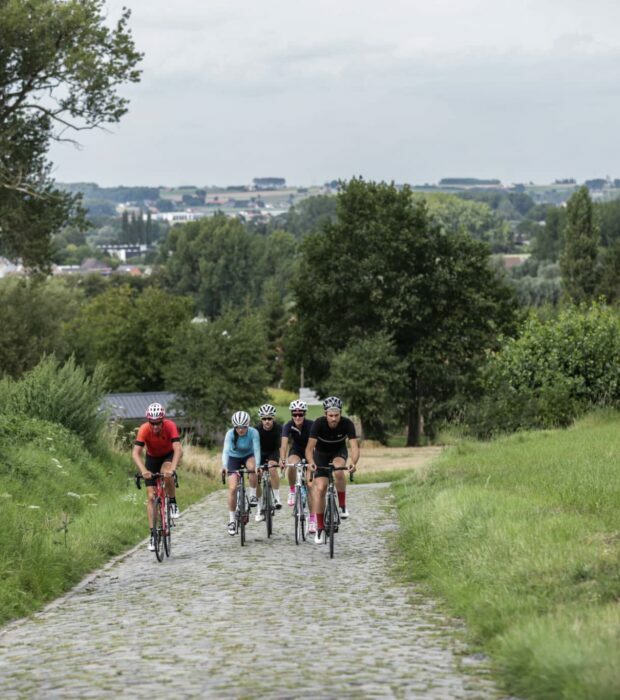 It includes mean classic hills like the Oude Kwaremont, the Koppenberg and the Taaienberg. 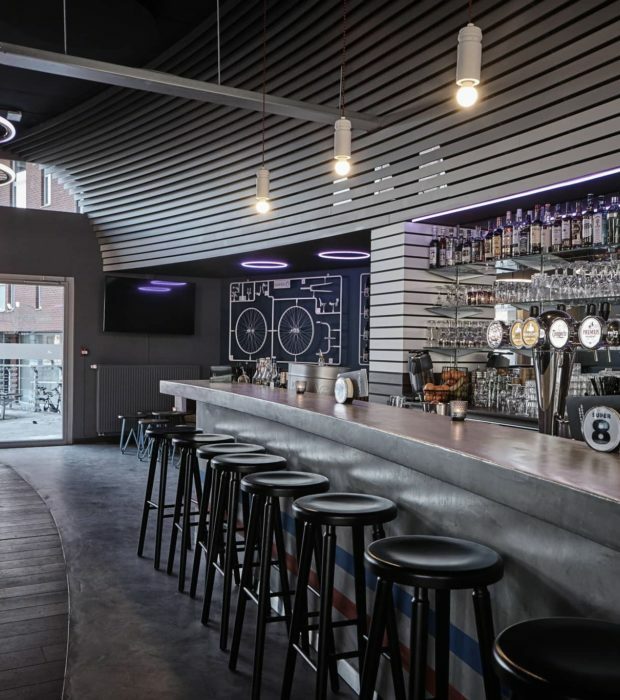 This cycling-themed pub is part of the Centrum Ronde van Vlaanderen (Tour of Flanders Center) and the place to be for lycra lovers. 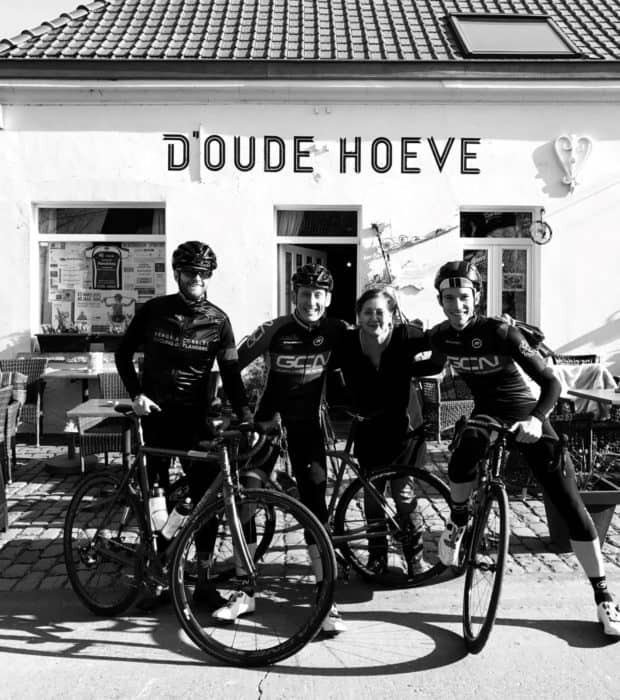 Three: that’s how many times riders must climb the famous Oude Kwaremont during the Ronde. 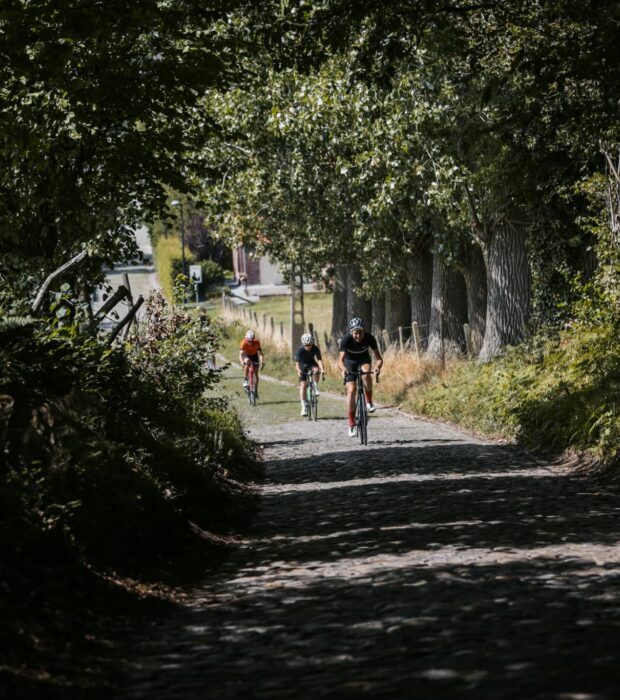 The Oude Kwaremont is the longest cobbled climb of Flanders at 2200 meters long, and 92 meters of climbing. 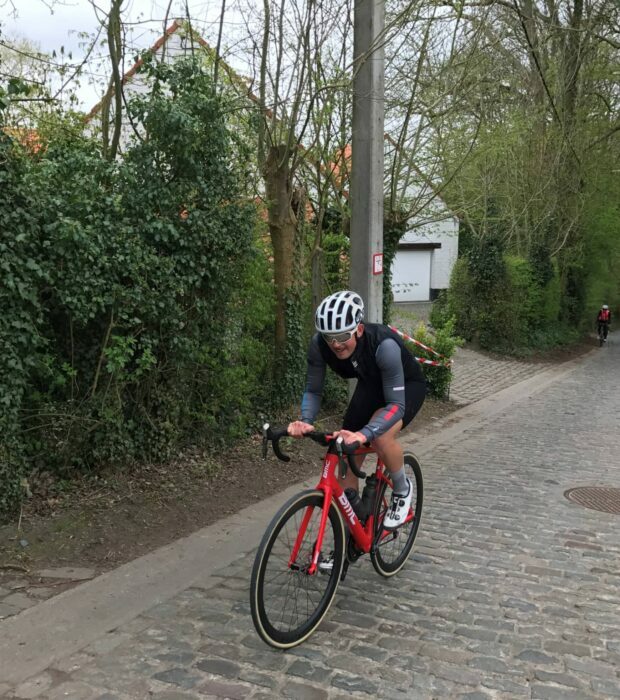 While it averages a nice “easy” 4% gradient it’s maximum gradient of 11.6 % lies in the middle of the climb – it’s not an easy feat to recover from that over cobbles. artists after the Second World War. 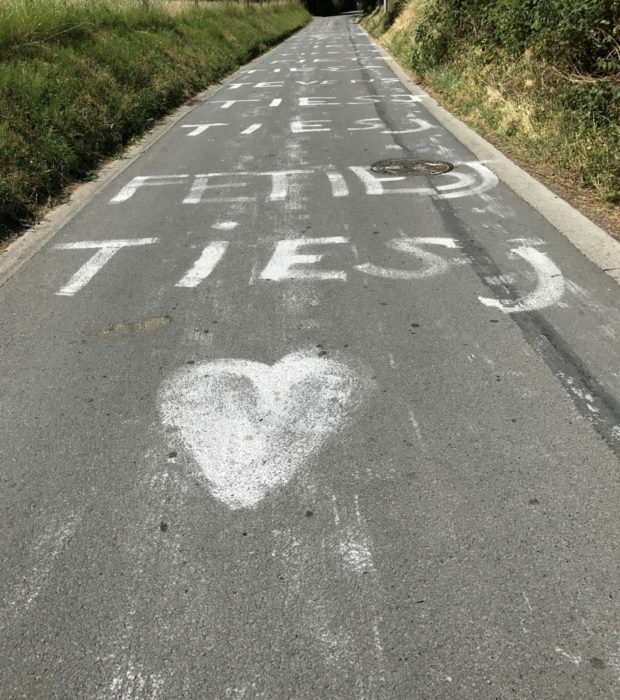 It’s only a relatively recent addition to the Tour of Flanders, but the Paterberg has already achieved legendary status. 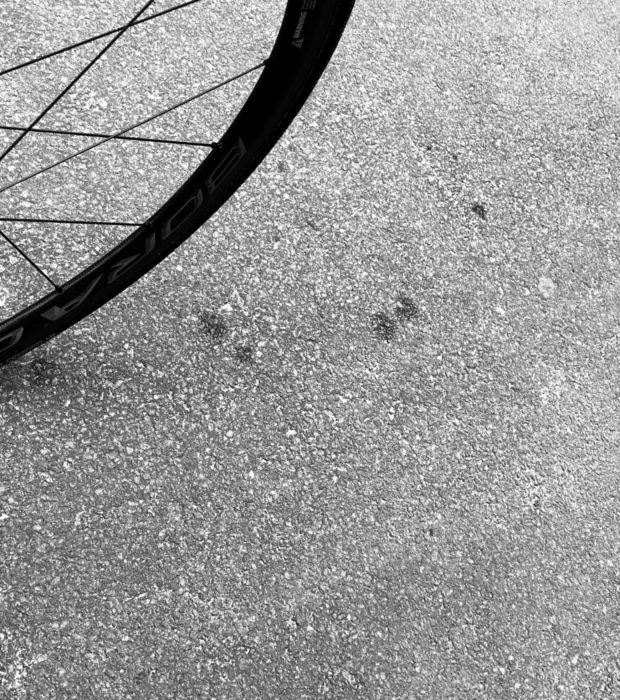 With a maximum gradient of 20.33% and an average gradient of over 12%, it’s one of the steepest climbs in the region. 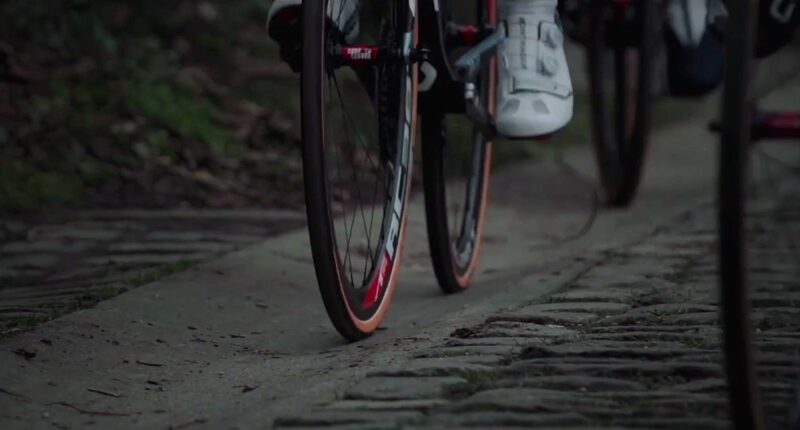 Artist Vladimir Tanghe once counted the number of cobblestones on the steepest part of the Koppenberg: 66,240 cobblestones over 2760 rows at an average of 24 stones per row. On the entire hill there are even more cobblestones. 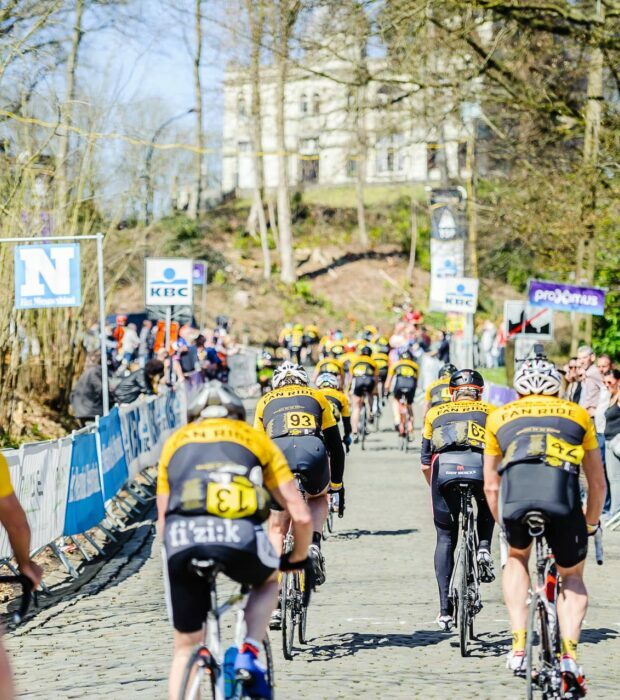 GCN takes on the most brutal climb of the Tour of Flanders. You didn't travel that far to ride in the gutter? This hill lives up to its name. Taaienberg literally means ‘tough hill’ and the reason for this name will become clear when you ascend its 530m stretch of cobblestones. 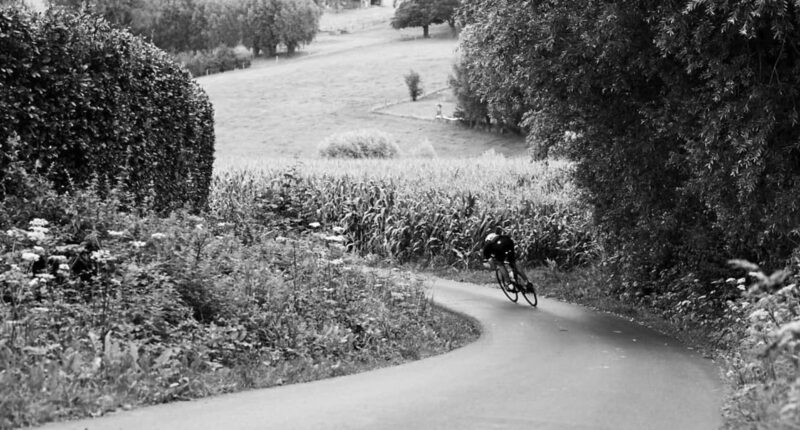 This is Tom Boonen’s favourite hill so we call it 'Boonenberg'. Fly down canary hill. Watch out for the birds. The 750m climb starts going gently uphill from the center of Ronse. 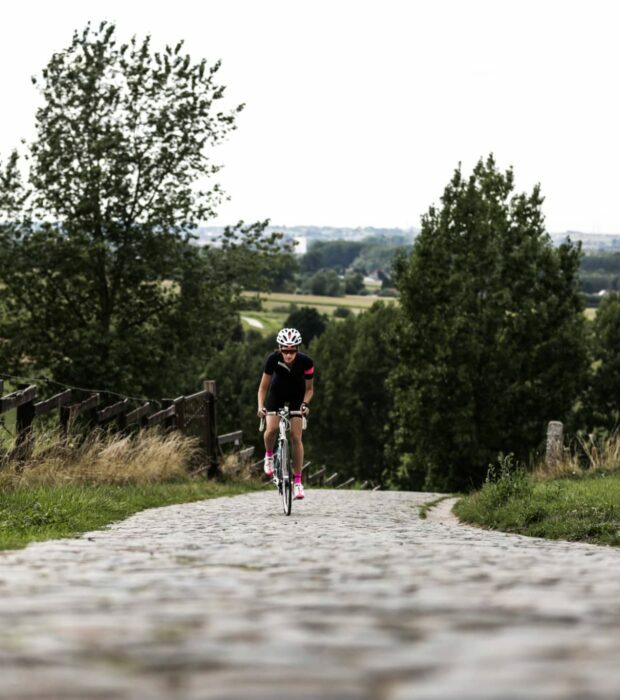 The upper – and steepest – part of the climb has a roughly-paved cobbled surface, totaling 450 m of cobbles. 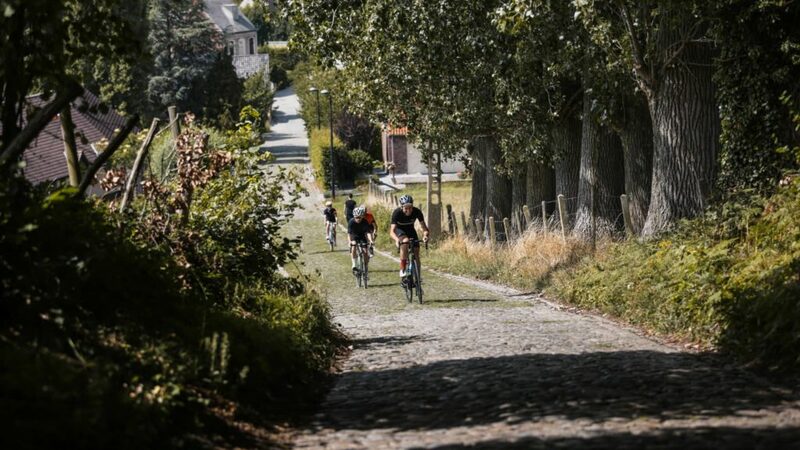 The climb was first included in the Tour of Flanders route in 1973 and has become a fixed location in the route since the race's restyling in 2012. 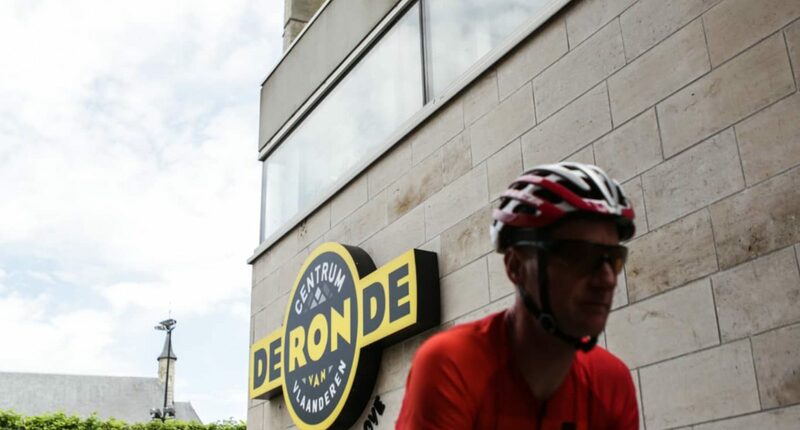 In recent years, it comes at 26 km from the finish in Oudenaarde, as the last climb before the iconic Oude Kwaremont and Paterberg climbs. The Kruisberg is also regularly included in the Three Days of De Panne, E3 Harelbeke. In the Ronde van Vlaanderenstraat in Kwaremont you can greet Karel Van Wijnendaele, founder of the Tour of Flanders. But also keep your eyes on the road. 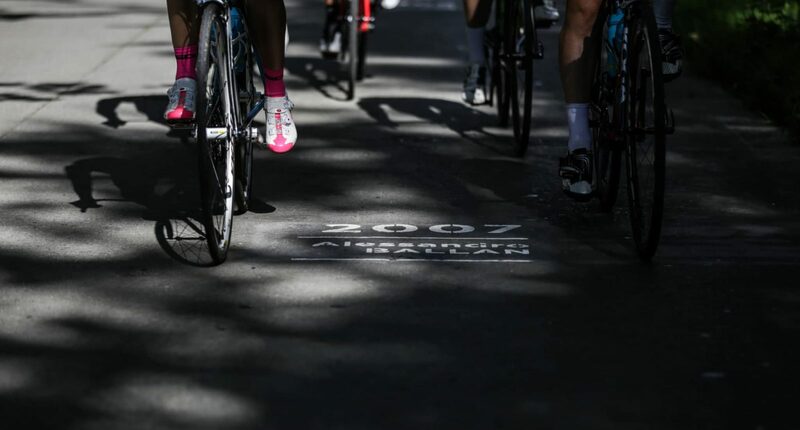 All the winners of the Ronde are indicated on the asphalt. 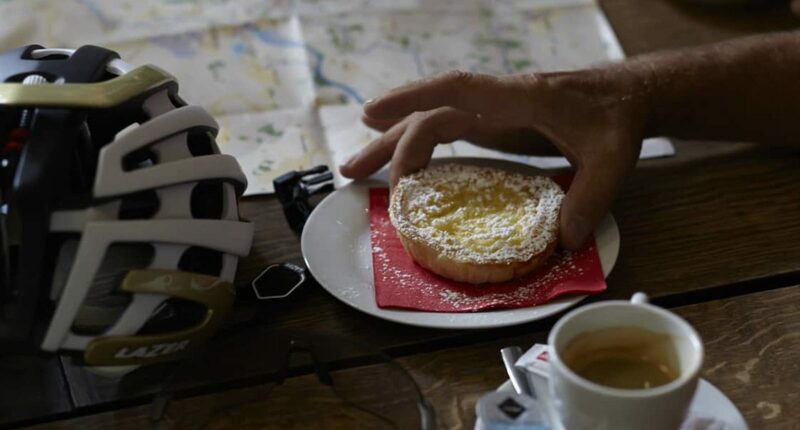 ​This authentic cycling bar is located in the Ronde van Vlaanderenstraat. Perfect place to hang out. This is a nice paved climb of about 1 km . Over this distance, you climb 67 altimeters. The average percentage is 6 % with a maximum of 16 %. 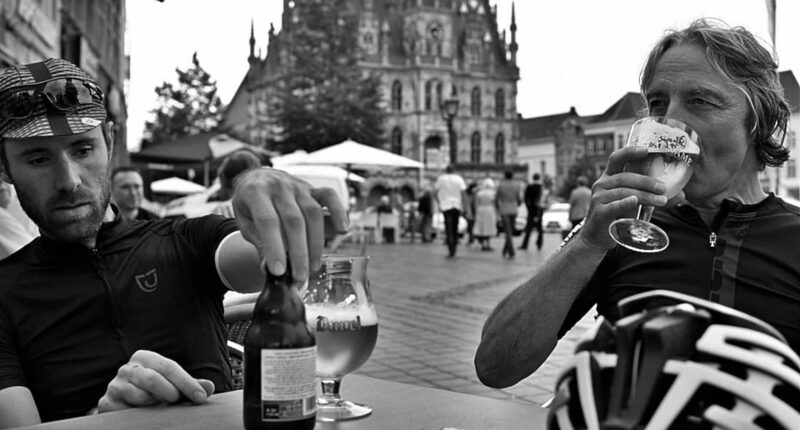 Time for some post-ride Belgian beers. Santé!